VetFriends.com - the largest website for reuniting U.S. military veterans - has created an online Casualty Memorial honoring and paying tribute to fallen U.S. Military service men and women. 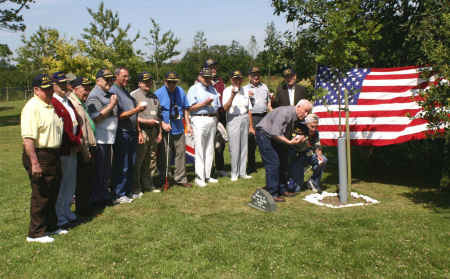 The memorial is part of the VetFriends.com Memorial Day 'Honor, Reflection & Remembrance' campaign tribute. VetFriends.com - the largest website for reuniting U.S. military veterans - has created an online Casualty Memorial honoring and paying tribute to fallen U.S. military service men and women. The VetFriends memorial at https://www.vetfriends.com/memorial is a place to honor and pay respect to the fallen U.S. service men and women who have sacrificed the ultimate serving their country from the Korean War to Vietnam, Afghanistan and Iraqi Freedom. The VetFriends.com Casualty Memorial is sourced by the federal National Archives and allows visitors to search by first and last name, state, military branch and war to view memorial pages of service men and women spanning back to the Korean War. Each listing shows the date of birth, hometown, military branch of service, along with the date of his or her death. Family and friends can submit bio information, personal notes, along with a collection of photos in honor of their fallen loved ones. Visitors, family members and friends are invited to leave a comment on the tribute page of fallen military personnel, along with a memorial tribute candle. With Memorial Day approaching, VetFriends encourages all to visit the Memorial to honor and give thanks to U.S. veterans and active military personnel. With the approach of Memorial Day 2016, VetFriends.com has initiated its 16th annual Memorial Day 'Honor, Reflection & Remembrance' campaign tribute - offering a nationwide Memorial Day parade directory at: https://www.vetfriends.com/memorialparades/. Visitors are invited to submit and register community parades and events in the directory to help promote the support and memory of veterans and the fallen service men and women. All listings will be posted on VetFriends.com for over 500,000 visitors per month to view. Other features available on VetFriends.com include: search the member database of over 2,000,000 people to make contact with old service friends from the Korean War to Vietnam to the Cold War through the present; information on how to obtain military records and medals; veteran job postings; message boards; upload past and present photos; military lingo; search and post reunions; military products and discounts; along with a variety of other features and services. 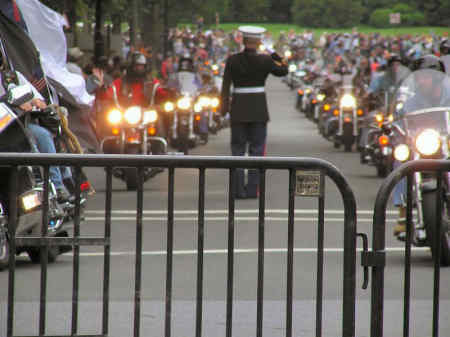 Additionally, the VetFriends.com photo collection at https://www.vetfriends.com/militarypics is made up of thousands of pictures in honor of U.S. military personnel. Visitors can search for images by specific military branch, year, war, state and country. Each picture contains background information along with a brief message and/or description. Pictures can be viewed at regular size or enhanced for a larger close up view. This Memorial Day and all year long, VetFriends.com encourages all Americans to honor and support U.S. veterans and active military of the U.S. Army, Navy, Air Force, Marines and Coast Guard -- all heroes of our nation. Founded in 2000 by a U.S. military veteran, thousands of people have been reconnected through VetFriends.com, spanning from World War II through to Operation Desert Storm and the present. For further information and/or interview opportunities, please contact VetFriends.com at 1-800-975-1618 or via the provided e-mail.